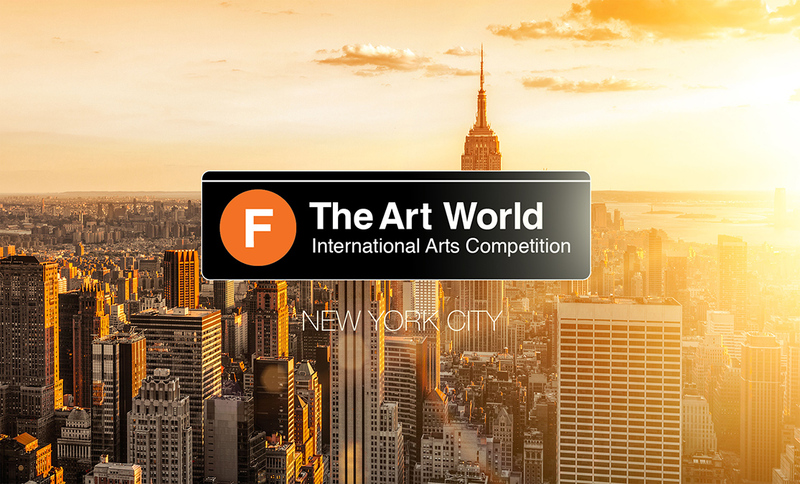 What if you were given an opportunity to exhibit your art in New York! 100% OF SALES GO TO THE ARTIST! · Fine Art /Mixed Media - Acrylic, oil, watercolor, charcoal, photography and various other materials. · Photography - digital and traditional - Raw and manipulated photography may be used. · Sculpture - All mediums are accepted. · Digital Arts - Computer generated art. The competition is open to professional and amateur artists and designers 18 years and older. It is the responsibility of the winning artists to ship art 2 weeks prior to the ceremonial event. All winning artwork shipped to Unarthodox should be insured by artist. All shipping and insurance costs are to be covered by artist. If winning artist is not able to ship original artwork, they will forfeit their ranking status and another winner will be selected for that specific category. Exhibiting artists are responsible for retrieving their art after the one week exhibition. Unarthodox will hang and display all work in accordance to show specifications. All submitted images do not violate the privacy rights, publicity rights, copyright or other intellectual property rights of any person or entity. You may not post, distribute, or reproduce in any way any copyrighted material, trademarks, or other proprietary information without obtaining the prior written consent of the owner of such proprietary rights. Without limiting our rights, it is our policy to terminate all relations with any artist who infringes copyright upon our receipt of a notice of infringement from the copyright owner or the copyright owner’s legal counsel. We will have the right to publish images of your artwork selected by the jurors on our websites and other advertising channels to promote future competitions and your artwork. In the event that you bring a lawsuit or assert in any forum any claim whatsoever against Unarthodox LLC, its agents, employees, representatives and/or officers, in connection with and/or arising from any claims that are in any way related to your participation in the competition and/or our relationship with you in any manner whatsoever, the maximum amount of damages to which you shall be entitled on all of your claims in the aggregate shall be the greater of either (a) the insurance proceeds received by either you or Unarthodox, LLC in connection with your claim or (b) in the event that your insurance claim is denied for any reason whatsoever and/or is not covered by the insurance policy, no more than the total amount actually paid by you to us in connection with your entry. In the event that you commence a lawsuit or other legal proceeding against Unarthodox, LLC or any of Unarthodox's owners, officers, employees, agent, representatives or affiliates in connection with and/or arising from any claim whatsoever relating to the competition and/or our relationship with you in any manner whatsoever; a) you hereby unconditionally consent to the exclusive jurisdiction of the state and federal courts located in the State of New York, New York County, b) New York law shall apply for the adjudication of any such claim and c) Unarthodox, LLC shall be entitled to recover from you all of its costs and expenses relating to any such proceeding including, without limitation, its attorneys’ fees.